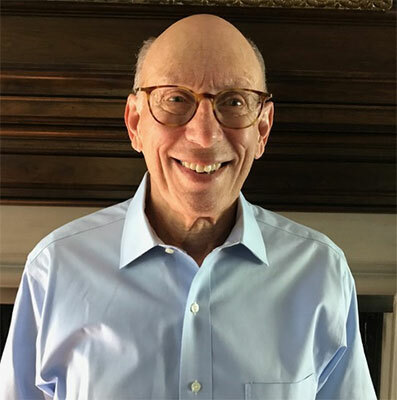 Gary Massel had 40 years of successful industry and federal government experience in general management, operations management, information technology, product development, and business development. Record of innovative solutions across a diverse range of markets, operations, and technologies in achieving significant operating improvements, leading business growth, establishing new business areas, improving customer service, and fostering employee involvement. PROFESSIONAL HIGHLIGHTS: From the Boise acquisition of OfficeMax ( Boise changed name to OfficeMax) in 2004 until retirement in 2007, Massel was the Senior Vice President-Supply Chain. Prior to that he was VP and CIO for Boise Office Supplies from 2001-2004 and VP Logistics from 1995-2001; Senior Vice President and GM of Building Products at Ply-Gem Industries (1994-95); Vice President of Operations (Specialty Packaging) and Vice President of Engineering and Development at Packaging Corporation of America (1986-94); Director of Product Development for International Paper Company (1981-86); and Senior Vice President of Energy Technology & Engineering (1976-81) and Vice President of Health Systems (1975-76) at Science Application International (SAIC). Governmental experience includes Associate Administrator of Social & Rehabilitation Service, Department of Health Education and Welfare (1973-75); and various posts at the Office of Secretary of Defense including Director of Naval Forces Planning (1972-73); Director of Land Forces Planning (1971-72); and Staff Member of Strategic Defense Planning (1970-71), where he served as a staff member of the first Strategic Arms Limitation Treaty (SALT) support staff. EDUCATION: B.S., Nuclear Physics with High Honors and Ph.D. in Physics with High Honors, North Carolina State University. Atomic Energy Commission Fellowship and Ford Foundation Fellowship. Stanford University program on Manufacturing Strategy. OTHER ACTIVITIES: Member of the Executive Network for Leoville Capital; Director of SESC, privately held distributor of commercial kitchen equipment; Director of PlayCore, publicly traded manufacturer of outdoor play equipment; Director of KAR Products and of Brafasco, both privately held distributors of maintenance supplies; Member of the Board of Directors and Chairman of Marketing Committee for Chicago organization of community centers; and Member of the Board of Directors, Congregation Solel.